Projects, Patterns, Ideas and Inspiration. Knitting & Crochet from Woman’s Weekly is a dedicated monthly series produced by the renowned Woman’s Weekly knitting team who collectively have over 100 years of experience in the knitting industry. Each issue features an extensive collection of patterns suitable for all abilities, including clothing and accessories for all the family, children’s toy’s and TV characters, home ware, novelty and seasonal items, plus how-to guides from some of the leading designers and technical experts in the world. We also exclusively feature vintage patterns from the 1920’s up to the 1980’s – these are taken from our extensive archive and fully reworked so they can be made with modern yarns. The Woman’s Weekly knitting team sets itself apart from its rivals by testing every single pattern before they are published, ensuring that they are all of the highest standards – in short, unlike many knitting patterns out there ours are guaranteed to work! Be the first person to tell us what you think about Knitting & Crochet from Woman&apos;s Weekly and you'll save $5 on your next purchase! 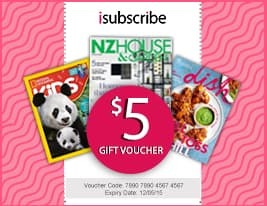 https://www.isubscribe.co.nz/knitting-&-crochet-from-womans-weekly-digital-subscription.cfm 14773 Knitting & Crochet from Woman&apos;s Weekly https://www.isubscribe.co.nz/images/covers/nz/541/14773/square/KnittingCrochetfromWomansWeekl121201904240.jpg NZD InStock /Digital/Crafts & Hobbies/Textiles Projects, Patterns, Ideas and Inspiration.